Choosing where you will receive care during your pregnancy and labor is a difficult decision. This time in your life is special and intimate which may make an out of hospital birth appeal to you. This time in your life is priceless and this little life is so valuable--you might fear an out of hospital birth and gravitate toward a medical model of care. There is no one-size-fits all approach to choosing health care during pregnancy and labor. I've outlined a few options below and given a few details. Ultimately, however, it comes down to your health and your instincts. -Am I healthy? Is my pregnancy healthy? -What do I believe about the birth process? Do I feel it is a natural life process? 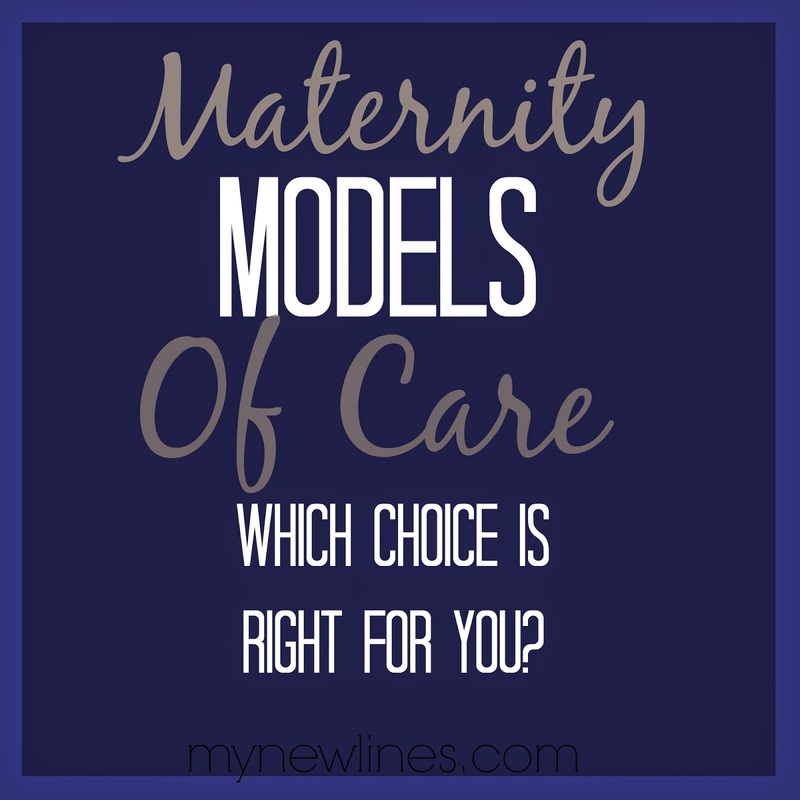 -Where would I feel most comfortable giving birth or receiving care? Why? 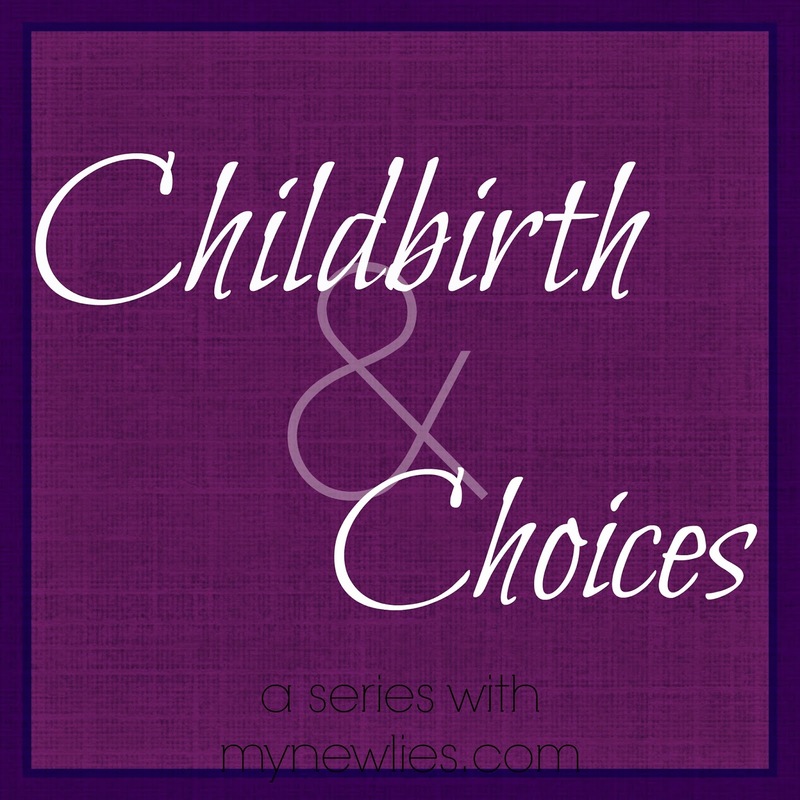 -What do I want out of my birthing experience? Do I want a drug-free experience or would I prefer to medically reduce the pain during labor? -What are my options where I live? -His/Her approach to your prenatal care. How much involvement will you have? Will you be given choices? -What will happen at each appointment? -What is your approach to induction? -What is the percentage of C-Sections each year for your practice? -What is your approach to a drug-free birth? -What does your facility offer for my labor experience? Certified Nurse Midwives (CNM) are registered nurses that spend an extra two years in a Master's program for midwifery. Midwives offer a model of care that is more personal and individualized. The Midwifery Model of Care views and treats birth as a normal life process. Midwives monitor the physical and emotional well being of the mother throughout pregnancy. Education is part of the Midwifery Model of Care as well. Midwives provide expectant families with individualized education throughout the pregnancy. Midwives minimize technological interventions while identifying women who need to be transferred to obstetric care at any time during their pregnancy or labor. Obstetricians are extensively educated in their field. They complete their necessary requirements for medical school and spend an additional 4 years studying and practicing obstetric care exclusively. The medical model of care focuses on "preventing, treating, and diagnosing complications that can occur during pregnancy, labor, or birth." This model of care is done via testing and through the use of a variety of medical interventions used to avoid complications that may occur. Home births are usually paired with midwifery care. Usually when a person plans to give birth at home she has been receiving prenatal care through a midwife. Several weeks before her due date she will be asked to have certain things ready for a birth at home. In healthy pregnancies, home births are often just as safe as a birth in a birthing center or hospital. -The environment. Giving birth is a body/mind experience. If you believe in the power of the mind, then you might consider a home birth. Your body is in a familiar environment and is therefore more relaxed. The labor process is able to take place naturally and progress with minimal interventions. -The location. If an emergency situation occurs, your proximity to the nearest hospital is important and can cost you or your baby precious minutes. If you have midwifery care, a free-standing birthing center is an option. Free-standing birth centers are not affiliated with hospitals or clinics. They are independently operated. Certified Nurse Midwives attend at the births in a birthing center, physicians are not part of a birthing center approach. -Drug free births take place in birthing centers. There are midwives supporting you throughout the birthing process as well as having the necessary facilities available (birthing tubs, birthing balls, birthing chairs, etc...) to help aid the birthing process. -It feels like home. In a birthing center, a woman labors in what looks and feels like a bedroom. It is a comfortable, relaxed environment. Food and drink are encouraged for laboring women in a birthing center and often times birthing centers have a kitchen for families to keep meals and healthy food available to them. -You are likely to have an easier recovery due to fewer medical interventions. -No immediate access to obstetric or neonatal care--you will need to be transferred to a hospital which can cost you precious minutes. -There are no options for medicinal pain relief. -You usually return home from a birth at a birthing center before eight hours. This can be a determining factor for some women who are nervous about recovery or postpartum symptoms. Birthing at a hospital is paired with obstetric care, but can also pair with midwifery care. Some hospitals house midwifery practices (though the practice is much different in a hospital than an free-standing practice due to hospital policies and liabilities). -Fewer options or choices for care. For example, in most hospital situations a mother with Group B strep will have no other option than to receive antibiotics during labor. In out of hospital experiences, mothers usually have more options and input in their labor/medical care. There are legalities in a hospital that determine whether or not certain accommodations can be made. -An increased chance of medical interventions. In a hospital, you are more likely to be advised to speed up the labor process with some mode of intervention (Pitocin and breaking the bag of water are two ways this is usually done). These interventions can often times lend themselves to more interventions. Our experience with prenatal care is unique in that we received midwifery care throughout my pregnancy and I was transferred to an obstetrician's care for the birth of our daughter due to an induction. I have experienced both and I think that was good for me. I am a big fan of/believer in the midwifery care model. It worked very well for me and continues to work well for me. I need to be involved and educated in the decisions I am making. It was really important for me to have a say in my medical care and I am grateful I got that chance throughout my pregnancy. Having a drug-free birth was very important to me. I wanted a minimal amount of interventions and receiving my care through a free-standing birth center allowed me to prepare for that. My hospital experience was far better than I had expected. The doctors who attended to me worked closely with the midwives that cared for me. They were aware of my desires for a drug-free birth and presented options to me. They predicted certain things about my preferences and they asked me for my input. I felt very valued. Ultimately, though, I felt safe and well taken care of throughout my labor. They allowed me minimal interventions as long as the baby was okay. They continually checked on her and me. I was continually offered a chance to have my water broken, but each time I refused, I felt as though I was being heard. I never felt pushed into a situation. The only negative thing about birthing in the hospital was that I didn't want to be there and it scared me. I could not sleep at night and I wanted to be home. I hope to have our next baby at the same birth center I planned to deliver baby #1 (see below). I was diagnosed with pre-eclampsia with JaiseAnn at 39 weeks 5 days. I have a slightly elevated chance of getting it again with a subsequent pregnancy. If I am high risk when I get pregnant for any reason, a birthing center won't be an option. I will seek care from one of the doctor's who delivered JaiseAnn. If I am healthy and have a healthy pregnancy, we will try again for an out-0f-hospital experience? I know that some people have terrible experiences with birthing centers and some people have terrible experiences with doctors and hospitals. I highly recommend meeting with two or more doctors/midwives/practices before settling on a choice. Do some research and find out what is important to you and discuss it with each practitioner before making a choice. We received our midwifery care from Treasure Valley Midwives. They are located in Boise but service families throughout the Treasure Valley. I cannot recommend this center enough. Zach was apprehensive about having an out of hospital birth experience, but I really wanted one. I asked him to at least visit the two centers we have nearby and then decide. We met with a different center at first. For a number of reasons, we left that meeting feeling unsettled. I think they knew because they never even offered a follow-up call. We visited Treasure Valley Midwives last. We met with the owner, Paula, and discussed with her our concerns and our desires. She felt that the model of care the center offered was in alignment with what we wanted out of our prenatal care and childbirth experience. She easily calmed our fears as she explained how the center has worked hard to establish and maintain phenomenal relationships throughout the medical community. They are within four blocks of our preferred hospital, so that made us feel better as well. Their statistics are posted on their website and I studied them before meeting with her. Those alone put me at ease. After we left our appointment, Zach said, "We can absolutely have a baby here." I, of course, felt the exact same way. Every appointment with my midwives was thorough, both physically and mentally. They monitored the baby and me very closely. They talked with me at length (each appointment was allotted an hour. I usually took the full hour to discuss my options and share my life with my midwives). Those women became my friends and took far better care of me at the end of my pregnancy/after JaiseAnn was born than I would ever have expected or imagined. The postpartum care alone was worth it to me. One night after JaiseAnn was born and after I had been out of the hospital, I had some worries. It was Valentine's Day and I was scared to call because I didn't want something to be wrong--I had this deep fear that I would have to be readmitted to the hospital, and I didn't want to bother the on-call midwife on Valentine's Day. I wasn't healing properly and JaiseAnn hadn't dirtied a diaper that day, both things were severely stressing me out. Zach convinced me to call and the on-call midwife was so kind and she talked through each situation with me at length. At the end of the call I apologized for bothering her on Valentine's day and she said, 'Sharlee, that is what we are here for! We are here for you 24/7! That's what we do." TVM works with three practicing midwives and student midwives. As a patient, you rotate appointments to get to know each one before the birth of your baby, as you never know who will be delivering your baby. This helps ensure that whoever helps deliver your baby, you will know her and have a relationship with her. Each appointment involved a physical examination (blood pressure, weight, sometimes lab work/if necessary, fundal height measurements, and fetal heart tones). Each appointment was also met with different options and approaches. There was nothing that I was forced to do and it felt like I had a choice for everything including whether or not to have the glucose test or the strep B test--these tests are routine in traditional care facilities, but I was given options to waive them if I wanted. I felt very informed about each step of my pregnancy, with ample time to make decisions. When it came time to deliver JaiseAnn at the hospital and one of the hospital staff members asked me my preferences, I remember rattling them off--from skin to skin, to cutting the chord, to the treatments I did/did not want JaiseAnn to receive after birth. I was amazed at myself for being able to remember all of those things while delivering my daughter without medication. In hindsight, though, I realized that it was because I had thoroughly researched and discussed each and every step with my midwives beforehand. I felt confident in my decisions. If you have any questions about my care through Treasure Valley Midwives, I am happy to share--just email me. If you live in the Treasure Valley, they are at least worth visiting. I have a deep love for that center and the staff there. I continue to receive well woman care from them and will hopefully utilize them for my next pregnancy.